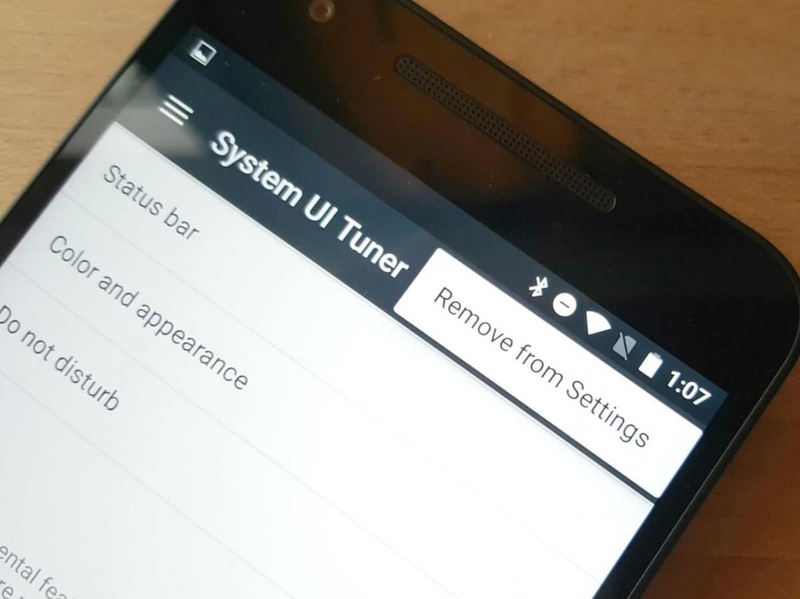 Google introduced five new toggles that are present on notification shade. You can edit, replace, reorder the toggles. Make it best for your experience. The small arrow on right will get you quick settings page also you can access by doing two finger swipe down gesture from the top. The New update has contributed a lot to the notification part. Notification is redesigned bundled and quick reliable. There are three views: Compact Lock screen view. Slightly more information notification shade view, and fully expanded view. You can individually access each view by swiping down the notifications. 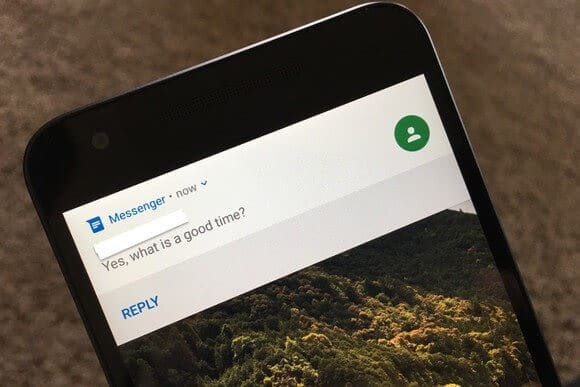 The quick action of nougat is the quick reply feature to the notifications.You can reply to the message directly in the notification without opening the actual app. 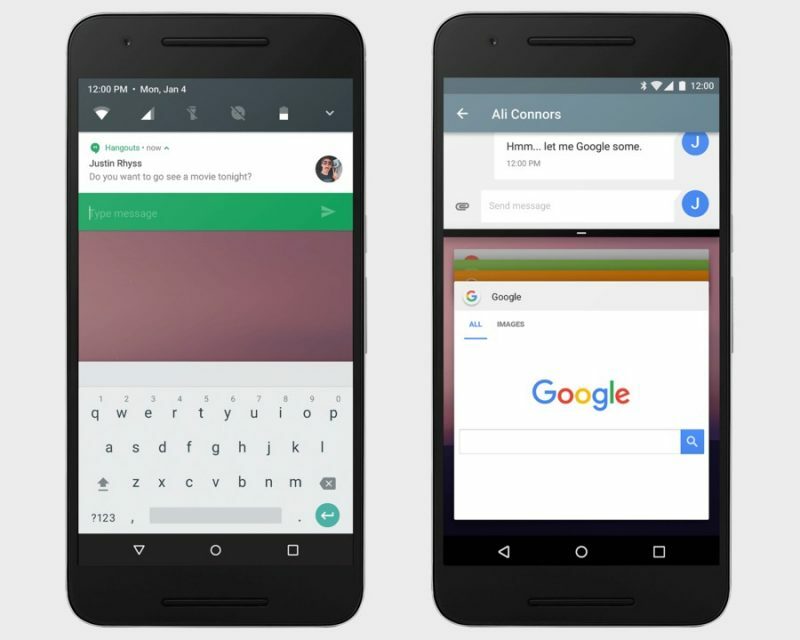 Google has made switching apps easier than before. Split screen and quick switch combined make a beautiful combination. You can switch to the second screen if you are working with one app so that you can use both the apps simultaneously. Google finally gave split-screen mode feature in its nougat update. Before this release different android developer made split screen mode available in their custom ROMS. But they were not efficient though due to incompatibility with the core of the Android system. But Google has given this feature officially. This support both in portrait and landscape mode. 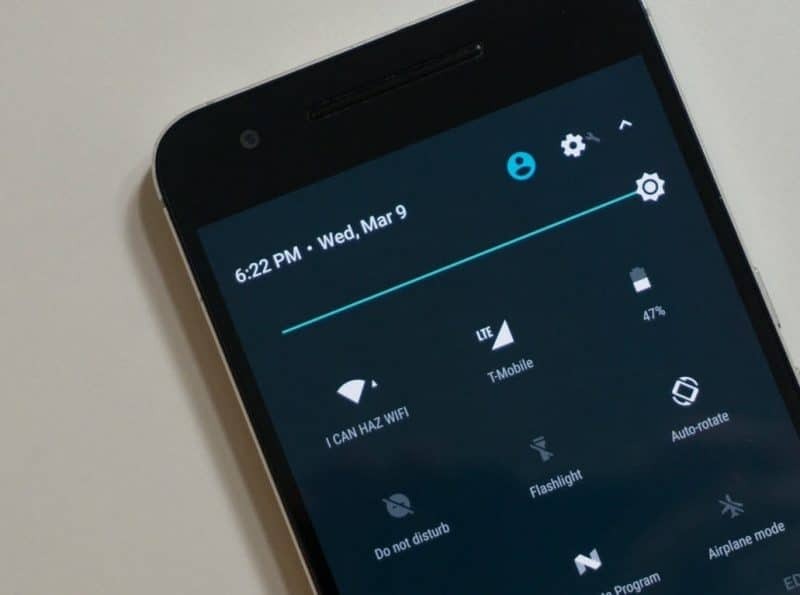 Android Nougat features are making people excited at the moment You can customize how much notification to display on the lock screen and notification settings. You can long press on notification area and get access to prioritization of each notification. So that most important notification can be seen first if notification is overloaded. You can customize the system User interface in this version of Android. You can enable this option by long pressing the gear on the top right, hold it for some seconds and it will rotate. The new setting is added in the settings menu. System UI contains many features like split-screen, toggles, gestures option. Nougat allows you to select primary language and secondary language.which is useful for bilingual users and travelers. 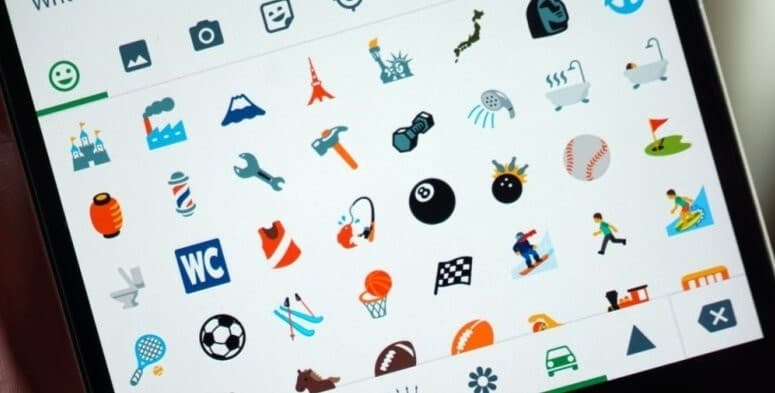 72 new emoji are included in this master pack.These Android Nougat features also include various skin tones and wallpaper picker. This allows you to set an image as a home screen wallpaper and lock screen also. The new Nougat offers you great improvements in its performance. It’s made light smooth than its predecessors. Many bugs have been wiped out which was a major problem in naught. Data saver feature is most common in all ROMS it’s just restricting the data access by background running apps. You already know that android phones just consume the data like anything even when you won’t use your phone. and get annoyed because you don’t know that reason.This package comes with this feature to make you smile. and prevent wastage of data.Android Nougat features are just improving with the updates. Thanks for visiting this blog hope you liked. Please like my page and share. Suggestions are knowledge sharing is welcome.